© 2013 Ralph Martin Palmer - All Rights Reserved. The first hybrid sport played on a curvilinear court. This entirely new sports game is the first Fantasy Sports game which combines the agility of soccer, the leaping abilities of basketball, and the body control of gymnastics. It is an "actual" sport specifically designed to be played on either an indoor or outdoor court. The game is played with a round ball the size and resilience of a Size 4 regulation soccer ball. The playing field is a large court with a flat floor with rounded, oval walls which curve to an opening at the top. The court is 150 feet long from end to end and 90 feet wide at the middle, its widest point. Large video screens are positioned strategically around the court for spectators to view important plays. The players' stats are screened for the immediate game with calculations for projected game performance in the next quarter. Historical stats are warehoused in the cloud computer system residing on the various planets. A referee is stationed outside the court in a closed circuit monitoring room so he can see the play and to call the fouls and penalties. The side walls slope up gradually from the floor so the players can run up the side of the stadium. At a point about 40 feet above the floor, the walls curve back in, meeting at the ceiling opening. The court tapers to a point at either end. The game has four quarters of fifteen minutes each. Play begins with the ball in a specially designed chamber underneath the floor at midcourt. At the referee's whistle a "face off" between two opposing characters occurs when the ball is shot straight up into the air. If the ball is passed or caught by hand, it may not be carried for more than four steps before being passed, kicked, or headed (soccer). "Dribbling" is not allowed, although a character may take 4 steps up a wall without a penalty, as long as his forward distance does not exceed 12 feet. The ball can be hit with a fist as in volleyball, thrown like a football or baseball, struck as a handball, or thrown with both hands. The goalie can catch the ball, but can not be touched by an opposing player while holding the ball within the marked nine-foot semicircle. The goalie can kick, head or throw the ball. When defending against an attempted goal, only two other players are allowed inside the nine-foot semicircle with the goalie. This primary rule for the goalie points out the overall limitation in hockey because, in hockey, the goalie adds no dimension to the game other then defense. When defending against an attempted goal, two other defending players are allowed inside the nine-foot semicircle. This makes for exciting multi-player game play since a sub-game is created within each team. Substitution can be made for any character, but only once a quarter, starting with the second quarter. The goalie can be substituted only once in a game. Two thirty-second time outs per quarter may be taken by each team. There is a two minute break between quarters, and twenty minutes at half time, where all the teams retire to their Locker Rooms. The referee may call unlimited official time outs to permit medical assistance for injured characters, to repair equipment problems, and to resolve mechanical, score keeping and time keeping problems. STRENGTH: How far each character can kick or throw, as well as how much damage is done when checking an opponent. Also, indicates the equipment. SPEED: How fast your character is in relation to other characters. ENDURANCE: How much punishment your character can withstand and how long the character can go without rest. AGILITY: How accurate your character can shoot, throw and block shots. Each of these statistics will dramatically affect the playing and handling of each character. You may have an extremely fast player, but with low endurance which will cause him to tire easily. You may have a very slow but accurate shooting player. Each player has a recruiting cost. The more gifted the players you recruit, the more they cost. A possible game cheat code, entered upon booting the game can allow players to change the statistics. After the players are chosen, you are given the chance to alter the stats to your choosing without the other player's knowledge, increasing an element of random chance to game play. For example, if you decide you would rather have a player a bit faster, then you may decrease their strength to raise their speed. All player statistics can be modified in this way, but if you increase one statistic, you must lower another one according to the computer's control. Lastly, you are given a field to enter a name for your newly created team. After this is done, it's off to the locker rooms and then on to the curvilinear playing field. When you enter the Locker Room a video plays showcasing the first team which you are competing against and the venue or stadium. There are a variety of venues to play in, and the better your team becomes, the more counters to be earned. You are, also, shown how much of a purse is awarded to the winning team. After the video is finished, we go inside the Locker Room. You are given the chance to substitute players or purchase special equipment. Then, you can enter the Robot Factory Area to construct robots to replace injured characters or to act as a goalie. You may practice your moves in the Training Room, without any limitations. I am Gennifer Robbin. Who are you? Providing a multiplayer online computer sports game featuring alien and interplanetary design elements and incorporating a "fantasy" or "draft" component with respect to player selection and team creation. ROTOBALL is the only original sports game in the history of the internet. It combines different alien worlds and planets within the backdrop of league play. Player info will be listed here. An example which combines multiple filter primitives to produce a 3D lighting effect on a graphic consisting of the string "SVG" sitting on top of oval filled in red and surrounded by an oval outlined in red. The Origin World Screen consists of thirteen icons in the top portion of your game screen. These icons represent the different virtual worlds or colonies. As you move the cursor to highlight each world, a 3-D graphic of each planet's indigenous race is displayed, scrolling basic information about each race. This screen is where you pick a virtual world to represent your league team. What is really interesting about my completely original game is having 6 virtual stadium designs which can be built on different origin worlds for league play. The result is competitive advantages for different races within a backdrop of sport. When a player clicks on the Training Room, the doors will open and take you to a separate screen. This screen resembles a computer console with a perspective that gives you the feel of looking down into a locker room. Here players can pick individual characters and train them. Training allows the players to become familiar with their controls and each of the individual characters. The Training Room offers two modes for players to test out their characters, Practice Mode and One on One Mode. If a player feels like practicing, then the PRACTICE MODE can be enabled. Practice mode places your character in your specially designed stadium with only a robotic goalie. Here you can practice running and jumping as well as kicking. The goalie's skill level for the interception of shots can be set to whatever the player indicates on the control panel. ONE ON ONE is the quickest way to learn how to control your character. Here you match your skill against a computer controlled robot. You can have a very aggressive robot that is not very skilled. He will be checking your player and causing fouls. You may also opt to have an opponent that plays a very conservative and highly skilled game or a defensive game. Any combination can be entered and played. When a player enters the robot factory, you are given the chance to build a customized robot to add to your team. Robots are completely computer controlled and are strictly used as goalies or replacement characters. The robot will automatically respond based on the server's analysis of the game play. Robots can vary since they can be creatively designed but they are, also, the most expensive to recruit The custom choices presented allow the player to build a robot from the ground up. You can pick out body chassis designs, physical attachments, locomotion parameters and a neural (TM); controller. If a player's character unable to recover, the player has the option to transfer/transform his character into a full cyborg. In the advent of a character's death, the player may choose to turn the deceased character into a cyborg. The ports allow attachments to be added. A robot with more attachments is a better or a slightly more dangerous player. The drawback is a decrease in speed and/or agility. Argo Mordasn is the new superhero for the internet. Outwardly, Argo Mordasn presents himself as an action-hero, intensely focused with a steely gaze. His experiences have molded him into an opponent of evil wherever he finds it! When Mordasn speaks, his extreme intelligence and deductive powers force all to listen to him. His brilliant mind, with scientific training from Lord Dunsburrough, intuitively understands all around him very clearly and precisely. This intellect makes him the natural leader. His intellect, however, is offset by his humanitarian nature which is the driving force in all his actions. As an action hero, Mordasn is very decisive, often intuitive and making the exact move necessary to win. He has extremely rapid reflexes, often allowing him to escape most dangerous situations at the last second. He is a skilled fighter who is supernaturally calm in battle. When not fighting, Mordasn can be relaxed and affable with the rest of his ROTOBALL team, each of whom has a deep loyalty and respect for him. He has affectionate knicknames for each, and, occasionally, reminisces with his personal stories, showing his true comic nature. 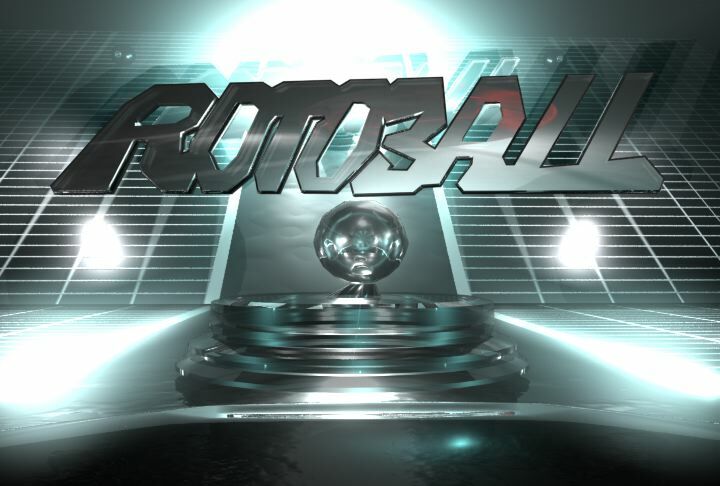 Rotoball is a copyrighted work of Ralph Martin Palmer and any copying, distribution or use without the author's express written permission is prohibited.